What I like best is that pricing on rates and virtual numbers are indeed the most economical. I do like the speedy response from customer support and quick resolution of my issues. Bandwith has the best rates but it doesn't help me a lot when there are never any numbers available in the areas in which I need them. Currently looking for solutions in order to gain a larger customer pool. "Always polite and extremely helpful"
I mostly work with the number porting team and they are so helpful and will work through any problem big or small. They are very patient and through in their work. "Bandwidth Reps are the best"
Their Reps know what they are doing and try to help out in all they can and give me understanding on things and processes I don't know. They don't have strict procedures for allowing numbers to port out. Ports mostly. The benefits bandwidth gives compared to other companies is they really care about our business and help as much as they can and willing to go the extra mile. I love how friendly and helpful the Bandwidth team is! Getting updates on ports. Josue is the best! Fast help & friendly service from the bandwidth team! Sometimes there are long waits on the que. Port rejections/ port out issues/ any sort of one-off issues. I feel like I am always listened to and they treat me kindly and with respect. Their website is easy to navigate and understand. I cannot think of anything that I do not like. You will never regret using Bandwidth. They are a great company that I thoroughly enjoy working with. It is simple to port numbers and to buy numbers. Bandwidth is so fast and efficient. When I submit a request it's worked extremely fast. I love that your reps are always helpful and we get answers on the first call. Kerry Skinner is amazing! She continues to help me gain my knowledge of Bandwidth. I dont dislike anything except that backorder process for numbers. This can take 90 days plus and my customers just wont wait that long. Faster method of getting backordered numbers please. This would be helpful. Bandwidth folks are the best. Always attentive and ready to help. Nothing really much. Since I have to have 40 characters, their web interface is a little wonky with IE but they are working on it. Inbound and outbound VoIP traffic. "Great Experience. Would definitely recommend !" Bandwidth feels less like work and more like a home away from home. They invest time and money into their people which allow's for continuous personal and professional growth. In return, you will find that Bandwidth people will go above and beyond for each other and their customers. I really don't like how helpful their customer service is when I am having an issue. We use Bandwidth to route calls for my company. They offer great value. I don't like the separation of the dashboard and the support page. It makes it very straight forward on how to order and port over numbers. If I am ever having trouble, Kerry Skinner is quick to help. "Love Bandwidth as a Vendor"
The service is solid. The customer service is top notch. My tickets and questions are handled with care and immediately, even when I just need more training. Mostly they are great. The portals are separate and the automated tools can cost more than doing things manually. My account manager takes very good care of me. I will send her my tickets and PONs to check up on things and keep it all moving forward. "Bandwidth has been great for our porting and new TN needs. " We have noticed fewer "bogus" rejections on LNP orders than other vendors. Nothing really to dislike. Bandwidth is a valued vendor for our company. 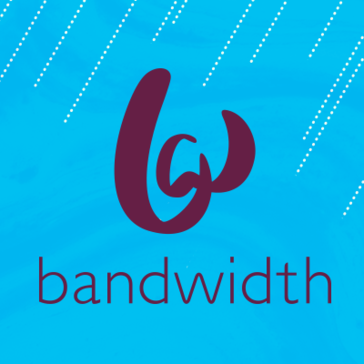 Bandwidth offers a robust API that we have been able to take full advantage of. This prevents manual errors and has increased our efficiency. We also like the ability to view "new" TNs in the Bandwidth portal. "Other" vendors do not allow this. "went through but not simple"
Bandwidth is easy to work with. They have local support teams that are cool and software/APIs that make integration a breeze. They understand our business work diligently to ensure we are utilizing them to the full extent and act quickly on feedback or enhancement requests. There are still holes in what they offer. T.38 faxing over SIP, international DIDs, and account hierarchy limitations are the primary concern. We don't currently see these on the roadmap. Bandwidth is a US company with limitations to their local presense. If that suits you, they are a wonderful company with the flexibility to do nearly anything with the proper development goals. Our primary business problem was having an underlying carrier that was easy and efficient to work with and allowed us to quickly grow without concern that something at our foundation would break. "Ease of Use, Reliability and Good Service Team"
The UI is easy to use, and straight forward for porting. No penalties for cancelling small-medium ports. The service is reliable and the service team is always great every time I work with them. The number inventory is sometimes lacking, or offers numbers that aren't local based on ZIP code. I usually check behind them now to confirm. Also, if I am having number issues, it takes an hour at the least for a number trap to be run. Providing reliable service to our customers, quick and painless porting for the most part . Customer Service is great! Agreement terms are very good. The app got improved, which makes it easier to make new orders/ cancelations & inventory management. DID's inventory can be better. Some popular NPA's are missing. Bandwidth allows us to better manage our clients inventory by including all sub accounts we have into one master account. It makes it much easier to monitor our clients' inventory & to manage it efficiently. Bandwidth has been very supportive and quickly resolves any questions that we have. We have been very pleased with their service. Pricing can be a bit high on some products. Gives us another option for DID coverage. They are very easy to work will and quick to respond. They make our company Spirit feel like we are a priority. I can not say I have run into any issues as of right now. The reps are very helpful and are always available. "Bandwidith has been a great partner"
Bandwidth is flexible and responsive. They are willing to do things that the big carriers will not. Our support team led by Lee Hull is terrific! Porting out of numbers has been problematic when Bandwidth has not always removed numbers from their switch. Bandwidth is a good partner if you have a high spend. Not sure about service for lower-spend customers a I haven't experienced that. They do provide API tools to make things easy to implement. They have provided us with reliable inbound service that allows our business to run smoothly. Lee has always been highly supportive and responsive to our requests. I appreciate his efficiency, hard working, and how friendly he always is! Really nothing. I enjoy working with Lee and all of the reps we work with at BW. My company uses BW for phone call routing and porting numbers in and out of our services. I greatly benefit from the convenience of submitting port requests and reporting problems. The portal greatly increases my efficiency in being able to work simultaneously on different requests without having to pick the phone up for support. Bandwidth shows great professionalism and are very supportive when trying to troubleshoot any issue. The person I dealt with at Bandwidth was more than willing to help in any way they could. We are using bandwidth for numbers outside our range usually the customers we have out of our state. The benefit is that we can provide that service without stretching ourselves too thin. On the new Ordering Numbers Portal, there is no way to select more than one number at a time or select all. The old Portal still better than the new one. Easy Portal and awesome Support Team. Easy access and management of DID and E911. The Support Team is always helpful. "Bandwidth support and provisioning is always prompt and professional!" Working with their VOIP interconnect Engineer Alex Mitchell was a great experience, he responded every question promptly and satisfactory. This is my first experience working with bandwidth.com and so far there is nothing that I could complain about. All is covered so far. "Bandwidth is a great partner." Bandwidth has been very flexible and easy to work. The onboarding process has been straightforward and easy. Different platforms/logins for different functions. Bandwidth is providing us with Origination and Termination service, helping us to expand our footprint, and add redundancy to our voice network. "Bandwidth has a great product offering"
Just onboarded with Bandwidth and the entire team made the process seamless. There's nothing I dislike. Would love to be able to pull CSR's on every port. Working with Bandwidth on that capability. Broader range and more rate centers at a competitive price. "Had a great training with Chase"
The portal is user friendly and when going through the training Chase was able to answer all of my questions and concerns and if he didn't know the answer he was willing to find out and get back with us. I don't like that I can't just search for sequential numbers in the portal that I have to download to a speadsheet first. An issue that required an assist from BandWidth was resolved in very short order. Their turn around was excellent and reaching them was simple, easy, online. I have not found a thing to dislike about BandWidth at this time. BadWidth is easy to work with and easy to reach. As part of the Telecom industry we all have to cooperate and work together to resolve issues. BandWidth was easy to work with. Nothing yet. We just started using this product. "Kerry Skinner and Bandwidth Team"
I find that Kerry and the support team at Bandwidth to be most helpful and really seem to care about resolving any issues we may be experiencing. So far the only issue I have come across is that when I have multiple numbers to release, I cannot do them in bulk, each number needs to be done individually, also the same for feature requests. We have found Bandwidth to be more cost effective for us. The E911 options is especially beneficial, and is working out great for us. number search for 509 numbers are back ordered. "Bandwidth offers quick and accurate solutions to capacity issues"
We use bandwidth as a wholesale provider of A-Z termination of LD. Bandwidths ability to work with us quickly and provide new trunking solutions with little to no issues for our customer base is a huge benefit. There really isn't anything to dislike the technicians are knowledgeable and make turnup of SIP trunking quick and easy. We are tasked with providing good value to customers at a great price. Bandwidth offers us quick solutions to provide that to customers without the hassle of long delays in implementation. "Reliable Customer Oriented Telecom Company in US"
I like their quick response and solution to the problems. They have great pricing and products that are better than expectation. Other than the occasional billing issues, I am very satisfied. We use Bandwidth for US inbound numbers, termination services and SMS. It's seamless process to order and implement. Portals are great but there's always room for improvement.